Rodeo Houston 2019 is the official sport of Texas, and a distinctive piece of its cultural identity and history. Modern day rodeo events have evolved to become more glamorous and elaborate affairs than in the past. Often livestock shows and rodeos include concerts, games, carnivals, food, and more, offering entertainment for everyone. Each year, Spring, Texas residents can look forward to one of the largest rodeo events in the world – the Houston Livestock Show and Rodeo held at NRG Stadium in nearby Houston, TX. Taking place over 20 days, the exhibition is marked by parades, celebrations, and numerous events. MK Limo provides rodeo fans and enthusiasts with first class transportation to the festivities for a luxurious and fun day of entertainment and activities with friends or family. Rodeos are a major part of Texas culture. Outside of the Houston Livestock Show and Rodeo, one can find many smaller rodeo events taking place throughout the year. Whether you are a longtime fan or a newcomer, these events are a great chance to enjoy some entertainment and witness real-life cowboys in action. Experience this important part of Texas culture in comfort and ease with transportation from MK Limo. We provide limousine rental services to ensure fast, stress-free, and safe transport to and from rodeo events in and around Spring, TX for visitors and residents alike. It can be difficult to find a family friendly activity that offers entertainment and activities that are appropriate for and appeal to guests of all ages. Rodeos and livestock shows are the perfect way to introduce children to this integral part of Texas culture in a fun and exciting way. With concerts, carnival rides, food, and more to look forward to, rodeo events are an ideal day trip for groups and families. MK Limo provides spacious transportation that can accommodate your family and friends with ease, making travel arrangements easy and convenient for events and occasions of all types. Rodeo events such as the Houston Livestock Show and Rodeo draw in many locals and visitors, who come to support the sport or learn more about it. With so many members of the community present, they are the ideal opportunity to see and be seen. Arrive in style with MK Limo to ensure your attendance does not go unnoticed. Our sleek and sophisticated luxury vehicles are appropriate for all types of events and special occasions. Fast, efficient, and direct, we take the hassle and stress out of getting to and from popular Spring, TX area events. ​MK Limo offers unmatched flexibility, convenience, comfort, and luxury, making us the ultimate transportation service for those seeking an upscale experience to complete their trip to the rodeo. 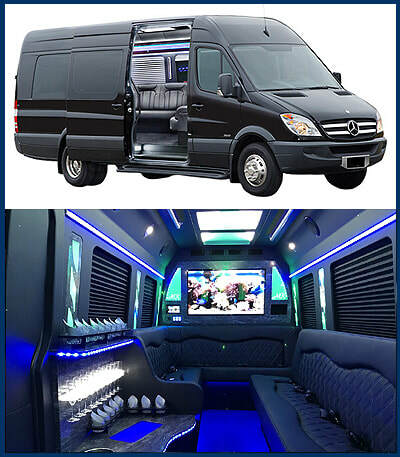 Make the occasion a special event, and treat your friends and family to a fun and unique experience with our limousine rental service. We provide private and reliable transportation to make your travel easy and stress-free, allowing you to fully enjoy your trip to the rodeo.